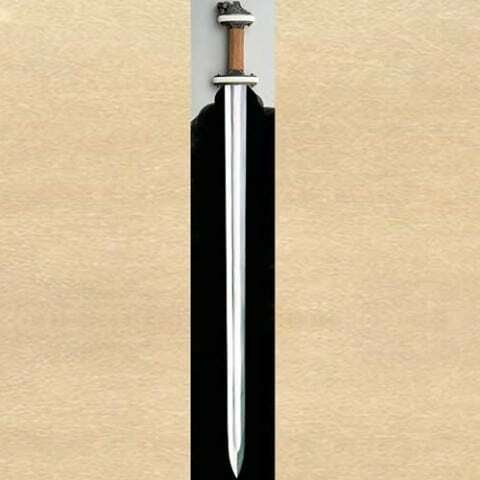 Classic and unusual sword for the collection. 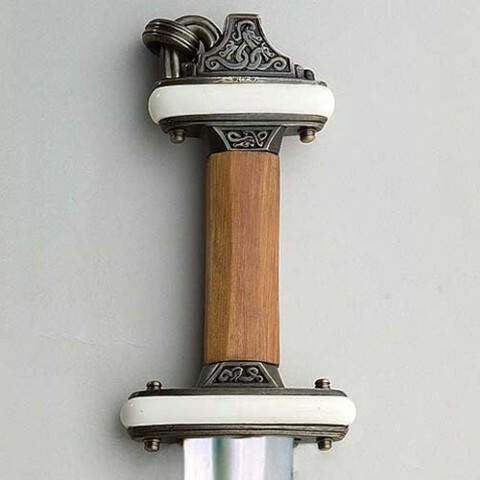 Fine example of a true ring hilt sword. Highly decorated parts have an antiqued finish, including the ring. Tempered high carbon steel fullered 77cm blade. Overall length 91cm. Weight 1.2kg. Includes highly decorated scabbard with brown leather shoulder strap and detailed parts. Can be factory sharpened for an additional $30.